Let me preface this by saying the idea was a wonderful one. Five women in the Wild Wild West go on a quest for revenge. The premise behind most good Westerns. It is just the execution and historical inaccuracies that I feel fail the movie. Music doesn't not match the period. Hip-Hop and R&B can be heard through out the entire film. Dialogue: "Now's let's all just chill out for one hot minute." Dialogue: "You feel me baby." Dialogue: "Why it gotta be all dat?" Babyface gives Chasity a rhinstone necklace as a gift. Many of the women can be seen wearing modern lingerie instead of corsets. Lil' Kim's contacts and gelled back hair. I was confused by her whole look really. While this film was misguided at times there were many things I appreciated. The presence of Black, Mexican, and Asian characters. 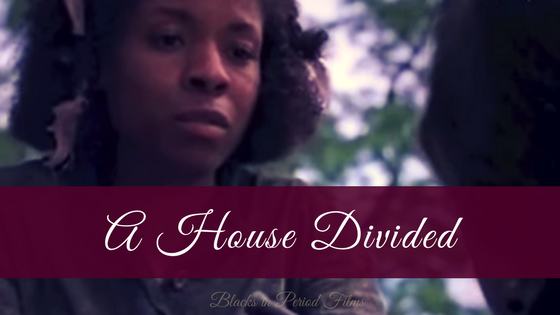 This blog is geared toward Blacks in period films but diversity of any kind is appreciated. Many Westerns ignore the presence of people of color during that time. The horse riding. It looked very real. I know that Lisa Raye knows how to ride horses. Were lessons given to the other ladies or were there stunt women? Females are leads in a Western. Many Westerns completely ignore the cowgirl. Relegating females in Westerns to the of perpetual barmaid, prostitute, or damsel in distress. Sometimes all three. Dialogue: "Two roads. Past and future. Leave the pain in the past." Mario Van Peebles has a cameo. His only line is "Good luck ladies." I think if you watch this film as a parody of Westerns with a hip-hop twist all these inaccuracies become funny. Bobby Brown is in this movie too. He's really good. Did I tell you Mario Van Peebles has a cameo. I'm guessing as an ode to Posse.